PAHRUMP, Nev. (AP) — Dennis Hof, a pimp who gained notoriety for an HBO series about his brothel business and who fashioned himself as a Donald Trump-style Republican candidate for the state Legislature, was found dead hours after his extended-weekend 72nd birthday bash, authorities said Tuesday. Hof was pronounced dead in his private residence at his Love Ranch brothel west of Las Vegas, Nye County Sheriff Sharon Wehrly said. Ron Jeremy, a pornographic movie star who attended Hof’s party on Monday night, told The Associated Press that he and a woman found Hof’s body after Hof failed to meet them. Wehrly, who also serves as county coroner, said she saw Hof at his birthday party late Monday at a local casino-hotel reception room with more than 100 of his friends, including former Phoenix-area sheriff Joe Arpaio. Other birthday celebrations were held throughout the weekend, according to Chuck Muth, a campaign consultant to Hof. The sheriff said there was no preliminary indication of foul play but her office was investigating. 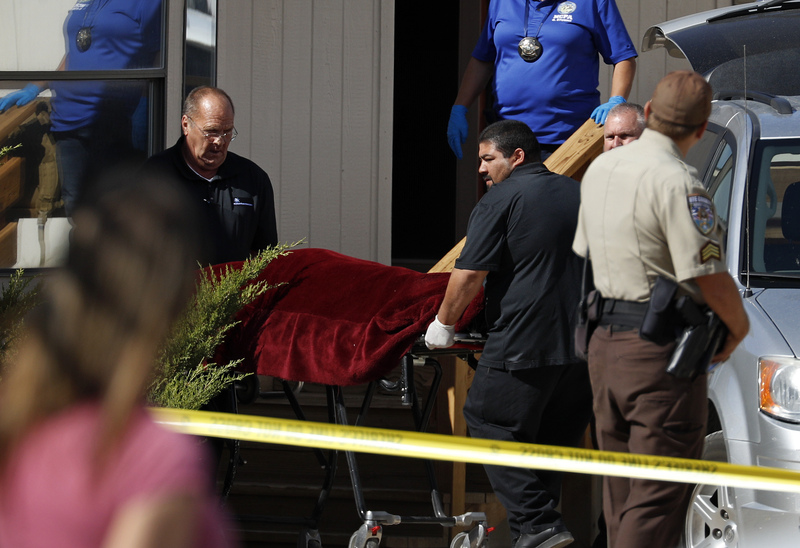 An autopsy will be conducted by the Clark County coroner in Las Vegas. Wehrly said results of the medical examination could take six weeks. Hof, who turned 72 on Sunday, was the Republican candidate in a heavily GOP state legislative district. Arpaio, the former six-term sheriff of metropolitan Phoenix known nationally for his positions on illegal immigration, said Hof was in good spirits when Arpaio left the party around 10 p.m. Monday. “Boy, that’s shocking,” Arpaio said of Hof’s death. “The thing I liked about him: He was with Trump and was for the Second Amendment and lower taxes,” Arpaio said in a telephone interview before boarding a plane to Phoenix. Flavor Flav’s lawyer, Kristina Wildeveld, said Tuesday her client did not attend. 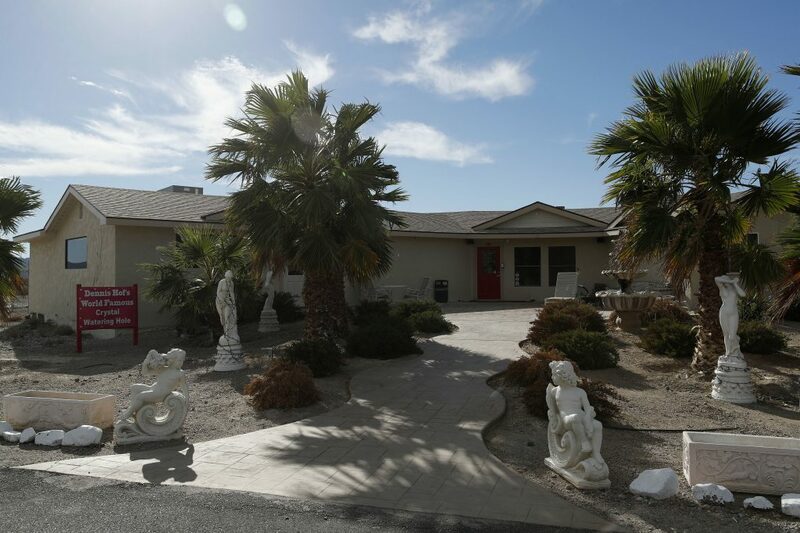 His Love Ranch brothel outside Pahrump is where NBA player Lamar Odom was found unconscious in 2015. Hof had also been accused of sexual assault on at least four occasions. The Nevada Department of Public Safety has said it was investigating an allegation made in September but has released few details. Hof had denied any wrongdoing. Wayne Thorley, deputy Nevada secretary of state for elections, said Hof’s name will remain on the November ballot. Thorley said ballots with Hof’s name have already been mailed to voters but signs will be posted at polling places notifying voters of his death. Hof was running against Democratic Las Vegas educator Lesia Romanov. This year, he ran as a Republican and earned backing from Trump associate Roger Stone and tax-cut activist Grover Norquist, who attended one of Hof’s parties. He upended Nevada politics this summer when he ousted an incumbent Republican lawmaker in a primary, celebrating at an election night party with former “Hollywood Madam” Heidi Fleiss. He said the anti-brothel push and regulatory problems he’s faced this year were political retribution. Written by MICHELLE L. PRICE and JOHN LOCHER, Associated Press. Associated Press reporters Ken Ritter and Regina Garcia Cano in Las Vegas and Jacques Billeaud in Phoenix contributed to this report. Dennis Hof was an inspiration to all, and will be dearly missed. He was an excellent pimp, respected his staff and employees, and a true supporter of Trump. It is our hope that one day we will see the legalization of brothels in the great state of Utah, and finally support one of the oldest professions on Earth. You really ought to seek treatment. Maybe you should come up with a better, less predictable response. No treatment needed. You are just bitter because you’ll never reach the level of success he did. He will be remembered forever, and you will just be forgotten. The level of success he… WHAT??? Are you freaking serious??? HAHAHA!!! Gimme a break, man. If that’s what you consider success, I pity you. Do you also PAY for your women? Because I don’t and I never have. You keep being you, though, Red. I see you. Classy. These women were not exploited, they were offered employment and opportunity. If you knew the facts and talked to these women personally, they do not feel “exploited” as you falsely claim. They are not looking to be saved. They enjoy their profession and the services they provide. Like you, I would never pay for these services, but there are people who do use these services. If it’s legal and they’re willing to pay the money, then why not? I am not saying prostitution is right, but I believe people should have the ability to choose. It is a freedom enjoyed legally in Nevada and shouldn’t ever be taken away. No one is forcing anyone to do anything, but the option is there. Utah could learn a lot from Nevada. Legalization of brothels will never occur under Republican rule, neither in Utah nor in the country as a whole. Republicans overwhelmingly support the “nanny state” prohibitions against drugs, prostitution, gambling and usury. If you think otherwise, you are living in a dream world. If you think the current crop of democrats would legalize, I have bad news for you. They are just as puritan towards these issues as the GOP, they just don’t have the religious bent about it. Keep trying to convince yourself of such things, tazz. The right LOVES useful “folks” like you. Eat that propaganda. Well considering you just lashed out at this man representing everything wrong with this country, I think you made my point perfectly. Moralizing. No. I’m pointing out the fact that people are celebrating a man who made a living exploiting women. He went out with a bang. R.I.P. Dennis. You were a great man and an inspiration to us all. This whole thing is ugly. Well I guess pimpin ain’t easy. GO FALCONS! Another “patriot” who literally wrapped himself in the American flag. Ugh! Why is this pimp being remembered again? He represents everything currently wrong with America. You think capitalism is a bad idea? Lemme guess, Bernie Sanders is your guy? Sorry, socialism doesn’t work. Don’t tell that to countries like Sweden, Denmark, Norway, or any number of other countries where it seems to work just fine and people are happy. But I’m sure you’ll default to some horrific example like Venezuela, right? You’re damn right Bernie Sanders is my guy. He’s got more common sense in his pinky finger than the entire whole of Republican existence. Socialism is coming to America. Don’t you forget it. Too deep for you, obviously. Just because those countries are happy with the way things are run, doesn’t mean the US should automatically follow. If you think Sweden is that much better, go move there. Says every single misinformed and clueless person. As if moving “there” is so easy. Sorry, bud. I’d rather stay right here in MY country and fix the existing problem. Starting now. Wait, I thought you didn’t like moralizing, preachiness? You are confused it seems. Not even remotely confused. I am as awake as I have ever been in my life. Wanna know something? There are millions of others as awake as I am. And we vote. If you ride that horse too long, y’all gonna die in the saddle. The pimp was totally stiff when Ron Jeremy found him. What the heck does a dead pimp have to do with politics? Man, some of you will find any reason to bash.